Liberty has always been, and remains to be, my must-stop London destination and I'm always delighted by the discoveries I make there, particularly in the stationery department. The range of stationery from Knock Knock was no exception and had me in stitches at the paper goods counter. 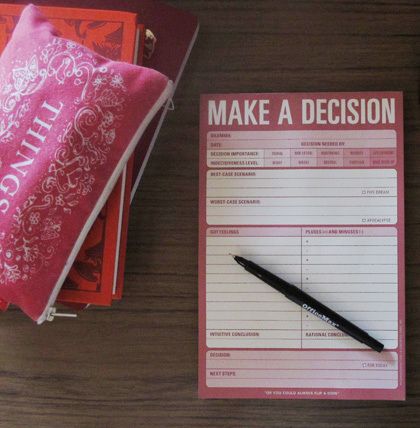 Make a Decision, Fashion Citation and Self Therapy notepads amongst the hilariously brilliant range. Fun and functional indeed.